If you own or operate a luxury chalet and would like to advertise it through the Ski In Luxury website then please do not hesitate to contact us. We are constantly looking to enhance and improve our portfolio of properties, and are looking to take on new resorts in order to offer a diverse range of accommodation options to our affluent clientele. If you feel that your property would be suitable for our portfolio, please feel free to contact our marketing department. There are no set up charges to advertise on the website, just a commission payable on any sales that we generate for you....what have you got to lose?! We feature the very best luxury ski chalets, hotels and self-catered properties available to rent throughout the key ski resorts in Europe and we are now seeking properties in North America in order to develop this area of our portfolio. 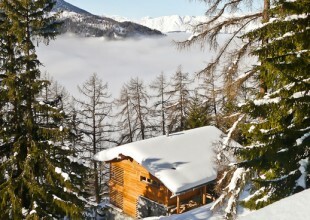 Ski In Luxury provides you with a platform to showcase your luxury chalets to a wider, multi-national audience. Advertise with us to enable you to reach out to our global network of affluent clients. Ski In Luxury are firmly established as one of the leading and most widely respected agencies in the ski industry.